A Licensed Real Estate Broker with 14 years of experience in Residential Leasing and Property Management. Emily began her real estate career with Coldwell Banker of Sarasota as a leasing specialist. Her natural instincts and attention to detail allowed her to quickly build and establish Coldwell Banker's Rental Division in Sarasota /Manatee County as "the premiere" rental company for the area. 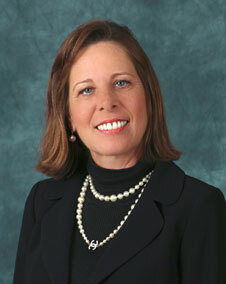 In 1999 Emily opened her first Sarasota based residential leasing and property management company as co-owner. There she continued her excellent track record of accomplishments in real estate leasing and property management services. When the opportunity to open Rossi & Company, Exclusive Rentals came along, Emily jumped at the chance. Emily says, "Our clients expect nothing but our very best and as sole owner of Rossi & Company, Exclusive Rentals I can ensure that our clients get only the very best. We are committed to improving our client's profitability and real estate value. I believe a good team is paramount to a client's success and tenant's experience." We are quickly becoming Sarasota & Manatee's most "turned to" company to facilitate the rental and management of residential properties. We are the most trusted in the area when it comes to service, as our goal is to ALWAYS exceed expectations. At Rossi & Company, Exclusive Rentals our pride is associated with the strength of our client relationships, not the length of our client list. We focus on quality. Our Leasing Agents distinguish themselves through dedication to our clients; attention to detail; moral soundness; honesty and an understanding that time is of the essence. All issues must and will be dealt with in a proactive, responsive manner. Rossi & Company, Exclusive Rentals offers three types of leasing programs to clients who wish to lease their investment property; Seasonal/Vacation, Lease-Only and Lease-Managed. Our property management services are tailored to each client's portfolio or property specific requirements.